A Haitian woman, Alcima Fenelus, may just be the second oldest woman in the world. Alcima was born in 1898, on the same year that Misao Okawa, named the world's oldest woman by Guinness World Records, was born. Can you believe this? A Haitian girl who was 17 years old during the U.S. Occupation of Haiti back in 1915 is still alive today to talk about it? 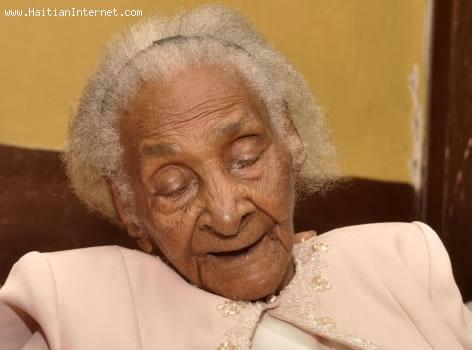 Haitian Woman Alcima Fenelus, The Second Oldest Woman in the World?